Our favorite time of the year is back. 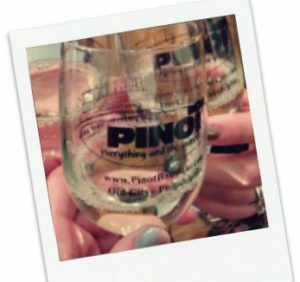 Philly Wine Week is happening April 1st – 7th this year and we are loaded with great wine events at Pinot. 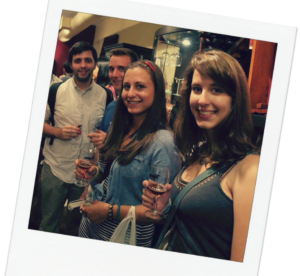 Our most popular event from the past three years, Philly Against the World is back again along with Cheesesteaks and Wine and two special editions of Develop Your Wine IQ. There is limited space per tasting slot so be sure to purchase your ticket ahead of time. They do sell out! 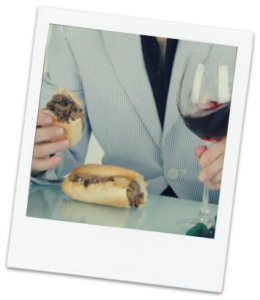 Let’s face it: when you think of pairing a beverage with classic Philadelphia foods (… cheesesteaks, soft pretzels, Tastykakes …) wine is probably not the first thing that comes to mind. If you’re a wine lover don’t let this discourage you. 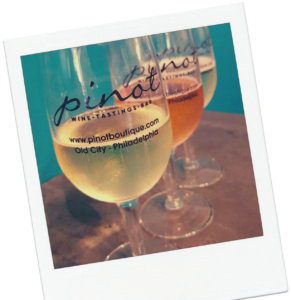 At Pinot Boutique we’ve created the perfect wine pairings to enhance the flavors of our Philly favorites and refreshing your palette at the same time. Come indulge your taste buds with this unique tasting pairing 5 different wines with Philly soft pretzels, a cheesesteak, Tastykakes and Peanut Chews. Tickets: $35/person in advance. $40 at the door. Julianne Donnini (known as “Jules”) is a self-taught local winemaker with a passion for creating high-quality wine. Her vision, along with husband and co-owner Scott Donnini, is a centerpiece of the agri-tourism experience at Auburn Road. Hers is an old world style – small batch fermentation, gentle use of oak, and a keen sense of balance as a frame to present the beauty of the fruit. Enjoy this unique vertical tasting lead by the winemaker herself! Hear from Jules the trials and tribulations of wine making in South Jersey. And, best of all, experience first hand the effects of bottle ageing and vintage variation by tasting several of Auburn’s top red blends from different years. First Friday’s are a tradition at Pinot Boutique going back more than 10 years. Free Live music, drink specials, and guest vendors always add up to a fun night. This April, First Friday falls during Philly Wine Week so we’re making sure it will be extra special! 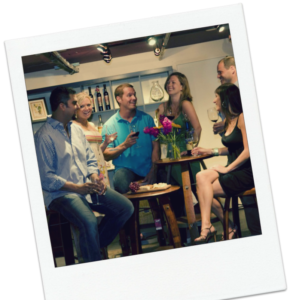 Join us in “The Cellar“ as we host a meet and greet with winemakers from the region. Experience new wine releases along with winemaker favorites, and shake hands with the people behind these great wines! Note: Tickets are NOT necessary to enjoy the drinking and live music of our First Friday event in the main tasting room (with a one glass minimum). Tickets are required for entrance to the Winemaker Meet & Greet in “The Cellar”. We love our local wines. If you haven’t tried our selection yet, here is a great opportunity to find out how the wines of our region stack up against the competition. Join us for this fun blind tasting! Sample 5 pairs of wines – each pair representing a single style of wine. We will be exploring Bordeaux/Meritage, Dry Rosé, Gewürztraminer, Cabernet, and a Champagne-style sparkling wine. Vote for your favorite then put your palette to the test, and see if you can guess which wine is local and which is not. Prizes will be awarded to people with the greatest number of correct picks. Check out Dan ‘ The Wineman’ on FOX29 discussing Philly Wine Week’s events last year including the Cheesesteaks and Wine event.